Worcester back-rower and former England captain Pat Sanderson has announced his retirement after failing to recover from a serious shoulder injury. The 33-year-old suffered the injury during the Championship play-off clash with Bristol in March and has had to give up the fight to regain full fitness, just a matter of weeks before the Warriors make their return to the Aviva Premiership after securing promotion. "I don't feel ready to retire so this is clearly a sad time for me as I feel I have more to give," said Sanderson. "It is something that is still sinking in and it will take time for me to get used to the fact I won't be playing a game that has given me so much and has been so much more than just a job over the last two decades. "I have to look back at my career and look at all the wonderful memories. How privileged I have been to play the sport for so long and for some fantastic rugby clubs." Sanderson played 16 Tests for England, making his debut in the first Test against New Zealand on the 'Tour from hell' in 1998. He captained the side on the 2006 tour to Australia during Andy Robinson's tenure as head coach. 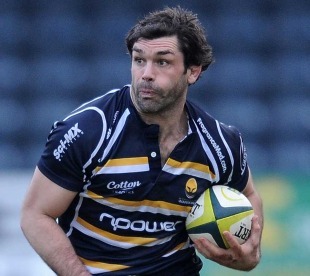 On the club front he also represented Sale and Harlequins before moving to Worcester in 2004 and leading the team for six seasons, going on to make 156 appearances and passing his 200th Premiership career appearance during the 2009-10 season. "I want to say thank you to all the people that have helped me along the way, in particular Worcester Warriors and all the fans for their support and the staff and players I have worked with," Sanderson added. "Ultimately this is where my rugby heart will remain. "I will miss the environment and miss playing rugby, but I plan to keep a close relationship with Warriors." Head coach Richard Hill said: "Pat's reputation as a player throughout the game is outstanding and he has been a true leader at Sixways over the years. From my perspective, I was delighted last year that he took up the challenge of two up and coming players, in Jake Abbott and Matt Kvesic. It was a really good battle for the starting shirt and Pat proved himself yet again as the fittest person at the club. "When you consider what his body has been through, that was an outstanding achievement."